Target audience: Nonprofits, cause organizations, foundations, NGOs, social enterprises, educators, journalists, general public. There are lots of organizations and charities that help people, animals and the environment. These charities rely heavily on other people for in-kind donations, monetary donations or for volunteer work. In the past, the easiest way to ask for help was to send out a letter or email, or even go door to door. Now, people can use apps to help out their favorite charity or non-profit organization. There are plenty of smartphone apps on the market today that charities can sign up to use. 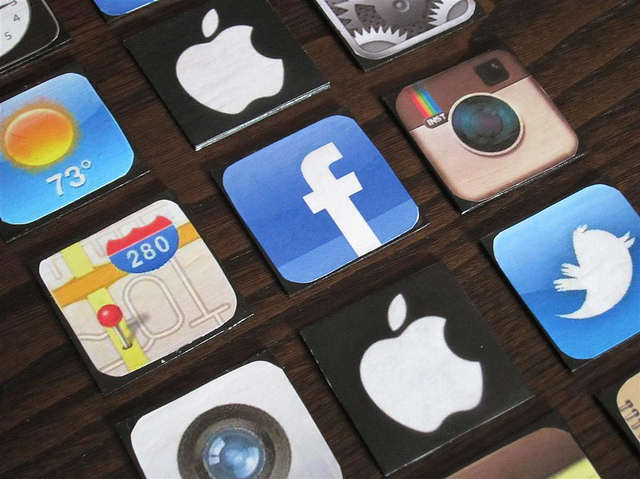 Earlier, Socialbrite published a roundup of top 10 mobile apps for social good. This article is intended as a sampler to get you to dig deeper rather than as a comprehensive roundup of all charity-related apps. 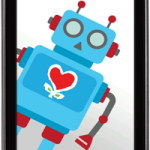 So, what are your favorite nonprofit apps? 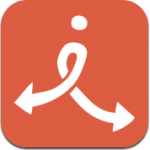 1The Global Giving app lets the user find different grassroots organizations that are looking for help. Inside the app users can find charities and projects using the global map, searching by theme, or looking at the featured projects. Once a charity or organization is found, the user can quickly and easily donate to the project. After organizations receive a donation or volunteer, they will receive updates on the progress the project has made. Charities from around the globe can join the GlobalGiving network through their website. The app is currently only available through iTunes. 2Charity Miles is an app for walkers, runners and bikers to give to their favorite charity by simply doing what they do best: walking, running and biking. For each mile the user runs or walks while using the app, they will earn 25 cents and bikers earn 10 cents a mile. The user can then apply their earning toward a charity. Organizations can sign up to be a part of the app by contacting Charity Miles. Currently this app is for iPhones on any service provider and on most Android devices, including the Android tablet from T-Mobile. The app is free and is constantly adding new charities and organizations to their list. 3Sometimes a nonprofit organization will have many tasks at hand and not enough paid manpower to accomplish everything, which is where volunteers become critically important. The VolunteerMatch app allows users to find volunteer opportunities near them. There are already more than 89,000 organizations that are participating with this app. Inside the app, it’s easy for users to save their favorite opportunities, share them with friends and family, and also read reviews from other volunteers. Groups and organizations can easily get involved and recruit volunteers. Nonprofits can sign up, get advice and find volunteers. This is a free app and is currently only available for iPhones and other Apple devices. 4Givatron lets users make a donation to their charity of choice. Unlike some apps, Givatron does not have restrictions on the amount or the charity of choice. Donation of any amount can be made to any registered charity or organization within North America. The donor instantly receives an email with their official tax receipt. The app is currently in beta testing, and is only available on Google Play. 5Instead by Ovenbits is an app that helps people give micro-donations to charities of their choice by giving up different purchases throughout the day. The app lets users choose from things like coffee, food or any other items that they want to give up for a monetary value. So you can give up your $5 medium mocha, and instead give $5 to your favorite charity. The amount of money is up to the user. Once you’ve filled in the information and picked an organization to give to, you can fill out their credit card information to make donating a breeze. For those who think they may not have extra money to donate, you might just discover how easy it is to give instead of making small daily purchases. Nonprofits can contact the app developers to be included in the list of organizations. This is a free app and is available for iPhones and Android phones. Here are some other charity-related apps. • The Free Rice app tests your vocabulary skills while donating grains of rice through the World Hunger Programme. • Ushahidi allows users can view real-time maps for crisis areas around the world and contribute crucial information regarding disaster relief. • The GoodGuide iPhone app allows you to scan the barcode of a product while you’re shopping and immediately receive ratings regarding health, environment and social responsibility. Whitney Adams is a freelance writer for AndGeeks.com. Whitney’s articles tend to delve into the more technical and complex problems that society struggles with when it comes to technology. She loves breaking those problems down and offering clear, bite-sized solutions for the average user. When she’s not online or surfing Pinterest, Whitney and her camera enjoy taking walks around her quaint home town and exploring antique markets. Nice little list. I personally like the iphone app “The extraordinaries’ (more info on http://www.appsta.com/the-extraordinaries-for-iphone), which could fit into your list, and micro-volunteering apps in general.